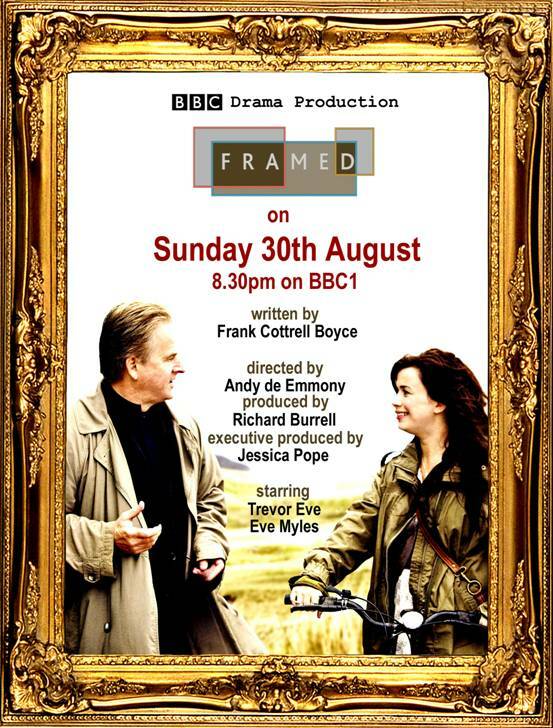 The 90 minuteTV dramatisation of Frank Cottrell Boyce's Framed is now showing tomorrow night (Monday 31st August) on BBC1 at 8.30pm, not tonight as previously announced. The hundred-year-old story of A Little Princess has fascinated me for many years. As a child, I read and reread it, mesmerised by the world it described; early twentieth century London, an old-fashioned school, rainy pavements and candlelit attics, the smill fo hot currant buns to a hungry child, the rustle of rose-coloured silk. I knew the details so well I could have lived there myself... This is the story of what happened next, after sara went away. On 1st September 2009 Penguin Books and The National Theatre Discover Programme launch The Big Break young scriptwriting competition. Young people nationwide aged 13 to 18 are invited to read award-winning author Meg Rosoff's debut novel How I Live Now and take the story, themes and characters as a starting point to create a treatment and the first scene of a script. Five winners will be invited to spend a day at the National Theatre Studio working with professional writers, National Theatre directors and actors to workshop and develop their scripts. They will also see a performance of Nation, based on a novel by Terry Pratchett, adapted by Mark Ravenhill, opening at the NT in November 09. The judging panel consists of author Meg Rosoff, playwright Mark Ravenhill, Associate Director (Literary) of the National Theatre Sebastian Born, Associate Director of the National Theatre Discover Programme Anthony Banks and Editor of Penguin's teen online book community spinebreakers.co.uk Danielle Innes. The competition will live on Penguin's teen website www.spinebreakers.co.uk and the National Theatre's Discover website www.nationaltheatre.org.uk/discover. A story-writing competition for four age categories (ages 8 and below; ages 9-11; ages 12-13; ages 14 and above) inspired by The Roman Mysteries series. See Caroline Lawrence's blog (the link is above) for the full rules. WIN A SIGNED COPY Have you entered yet? Very interesting observations by Nicola Morgan on her blog re. writing books for teenagers. Darren Shan is to brave Anthony Gormley's Plinth in Trafalgar Square. He will appear at midnight this Saturday 22nd August, and will remain there for one hour, reading from his books, chatting about himself, his career, and the forthcoming Cirque du Freak film. He has posted a message to members of his mailing list saying, "It would be great to see you there for what is probably my most unusual appearance in 10 years of touring!!!" And at that hour of the weekend, he might need a bit of support. No one can accuse Mr Shan of timidity or shyness. It is published today, Thursday August 20th, and we are able to offer you the chance of winning your very own signed-by-the-author first edition. The two lucky winners (yes, we have TWO signed copies to give away, not just one) will need to provide a UK or Irish posting address. 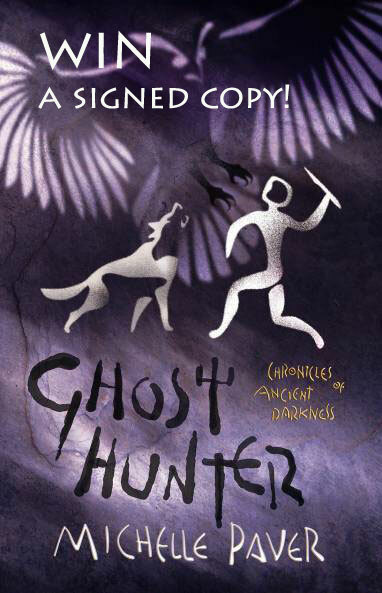 Visit ACHUKA's Fiction Picks page and tell us which two titles come immediately before and immediately after Ghost Hunter in the slideshow display. Post your answers to ghosthunterATachuka.co.uk,with COMP as the subject line. No need to give us your postal address yet. We'll contact the lucky winners in a week's time. The competition will remain live for one week. Best of luck! A small number of previous mailing list subscribers may have just received a mysterious 'Confirm Subscription' mailing. This was sent in error while testing the the previous Mailing List and should be ignored. I can confirm that the ACHUKA Mailing List has been dormant for a considerable time, and now contains too many bounce addresses to be re-activated. Michael Morpurgo has given his backing to the online book buying for parents scheme established earlier this year by David Teale (read an interview with him). myschoolbookclub.co.uk makes much of the fact that "With no magazines and no paperwork we're the greenest school book club", but is it? Rather than schools making collective orders for books and receiving them in one delivery, the concept behind myschoolbookclub is for parents to order books online as and when they are ready to purchase. Good businesss for the Post Office no doubt, but hardly a greener way of organising things. And, for the parents, not really cost-effective either, since Post and Packing is £2.95 for orders upto £25, thereby more than counterbalancing any savings made on the cover price of the books, the vast majority of which are discounted by between £1 and £2. ...So he made the move into teaching. "I thought I needed to get a proper job, and the thing English graduates did was teach. I took my Cert Ed and went to Beacon School, a big comprehensive in Sussex." His memories of the school are fond - and not only because he met his long-term partner, Gerry Wardle, in the staffroom. Despite being privately educated himself, O'Brien is a passionate advocate of the comprehensive system: the practical expression of the fervid anti-Thatcherism that simmered through his work in the 1980s. "We did all the stuff that's scorned now: mixed-ability teaching, trying to give everyone as much opportunity as possible. There were limits, imperfections, but we believed in it." Nevertheless, in 1989, after eight years in the job, he was ready to leave. "If you really committed to it, it was exhausting - rewarding in many ways, but it digs it out of you. I had to stop - either that or go mad. Madder." I've always especially liked O'Brien's collection, The Indoor Park, published while he was working as a teacher. We met occasionally during that period (to judge a local schools poetry competition; at NUT meetings, where he would usually be reading the latest edition of TLS rather than union leaflets) so I am looking forward to reading his novel at some point. Welsh actor Ioan Hefin reads chapter one of L. Lee Lowe's second online novel, Corvus. She also has a new website http://lleelowe.com/, with her first novel Mortal Ghost, available in both pdf and audio formats. Borders is seeing a "record-breaking year" for children's sales. Trailer for Darren Shan's first Cirque du Freak movie, titled The Vampire's Assistant, due for release in October. The series' fans have been posting alarmed and disappointed messages on YouTube. Certainly the movie appears to have gone for the light entertainment, family holiday viewing approach, but looks to me to have done that quite well, as far as a short trailer can convey. It does have a great theme tune and intro. Recommended New Yorker piece by Judith Thurman (author of Secrets of the Flesh, a life of Colette) on Laura Ingalls Wilder and her daughter Rose. The 2010 Bologna Children's Book Fair has announced that it will be reduced by one day. The fair will begin on Tuesday, 23 March and run until Thursday, 25 March.